Since 1918, Panasonic has been providing better living for their customers, always making “people” central, and thus focusing on “people’s lives.” Panasonic continues to create “A Better Life, A Better World” for each individual customer through a wide variety of payment products and systems. 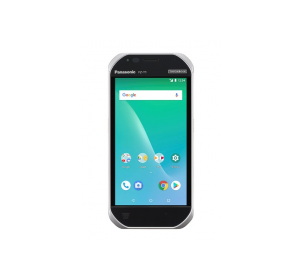 The Panasonic TOUGHBOOK® T1 is a slim and sleek Android OS based handheld that proudly carries the TOUGHBOOK name. Its ability to be used in the enterprise to collect information from workers in retail stores, warehouses field service, transportation and delivery or many other environments where work must occur belies its mild looking exterior. The FZ-T1 has a quad-core processor and a straight-shooting barcode reader, options to have a pistol grip with trigger, use a stylus pen or connect to multi-carrier 4G LTE with voice capability, yet end users will feel comfortable with its Android OS. 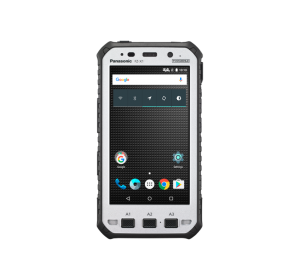 This handheld’s users won’t miss a beat with its great battery life, glove and rain touch enabled 5″ screen, 5 foot drop rating and IP66 and IP68 certification. The TOUGHBOOK T1 is ready to be used by satisfied end users everywhere in your organization. 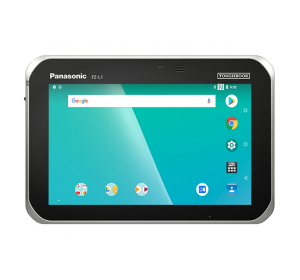 The Panasonic TOUGHBOOK® N1 — a powerful, slim and fully rugged handheld. It’s the all-in-one tool you’ve been waiting for, and it’s ideal for where work takes you each day. With an octa-core processor, angled rear-facing barcode reader, optional stylus pen, and long-lasting battery that is warm-swappable; you won’t miss a beat. And when a flexible device is in demand, the TOUGHBOOK N1 delivers the Android™ operating system, giving you the ability to develop in an open environment with thousands of enterprise grade applications at your fingertips from the Google Play store or Panasonic’s partners: independent software vendors (ISVs) and resellers/integrators. Plus, with built-in multi-carrier 4G LTE, voice capabilities, and dual SIM cards, the TOUGHBOOK N1 is ready to go where business takes you. And if it takes a seven-foot drop, don’t worry — it can handle it, making it the choice for unrelenting conditions. So take it to work. It can take it. The TOUGHPAD® FZ-X1 is the world’s most rugged 5-inch tablet and a whole lot more. For the first time, you can pair military-grade toughness and enterprise-class mobile computing power with Android-powered 4G data and voice services. Now field staff in the most demanding environments can have all the computing power they need in a handheld tablet small enough to drop in a pocket. 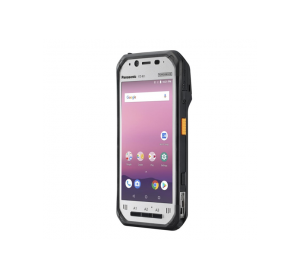 Built on the flexible, secure Android 5.1.1 OS, the FZ-X1 lets businesses leverage their existing investments in enterprise applications without sacrificing performance and ruggedness. And it is seriously rugged. Thirty minutes of under five feet of water rugged. Ten foot drops onto solid concrete rugged. Built-in heater for -4° F weather rugged. Whether you throw it in a toolbox or literally take it into battle, the FZ-X1 can handle whatever comes its way.